KITTY KONNECTION is a Georgia licensed Animal Shelter operated by Diamonds in the Ruff CSRA, Inc., an IRS registered non-profit 501(c)3 corporation. We have placed over 3,100 cats and kittens in adoptive homes since our rescue was founded in 2012. 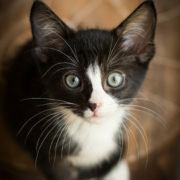 Our kitties are lovingly fostered by our volunteers in their homes and receive needed vet care. Our $95 adoption fee includes the spay/neuter, 1st FVRCP vaccination, and rabies shot. 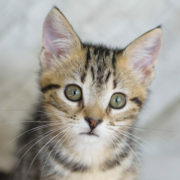 We have cats and kittens of all sizes and colors up for adoption. You can come visit us and some of our adoptable kitties at the Petco in Evans, GA almost every Saturday (11am-4pm). We are an all-volunteer organization and have no facilities or vehicle expenses. About 49% of our operating revenue comes from adoption fees and another 40% comes from donations and grants. We spend 78% of our budget for vet care and medications, plus another 18% for other direct kitty care items. Click here to see a breakdown of our adoption fees vs. kitty care costs.